we’ve completely re-designed the user interface, which combined with many new features, now makes business networking even easier." 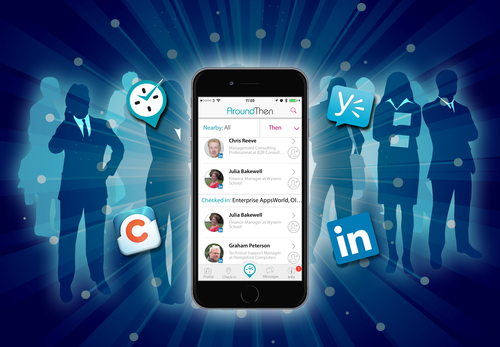 AroundThen, the business networking app, has re-designed the user interface, as well as added enhanced functionality to make business networking, collaboration and community building even easier within corporate enterprises, events and coworking spaces. AroundThen features a new, simple to use navigation and uses Bluetooth between mobiles and tablets to allow nearby users to view each other’s profiles. Users can exchange messages and connect with each other immediately via the app, or up a week afterwards, extending the opportunity for networking. Users can easily switch between using their Linkedin credentials or their Enterprise Social Network, such as Yammer or Chatter, depending on their location or environment. AroundThen uses Bluetooth Beacons to deliver personalised notifications with location specific branded content and provides automatic check-in at events and office locations. There’s also the option to post check-ins on LinkedIn and Enterprise Social Networks. The Beacons also deliver invaluable user analytics for administrators or office managers via the AroundThen Proximity Portal, a web-based reporting tool. 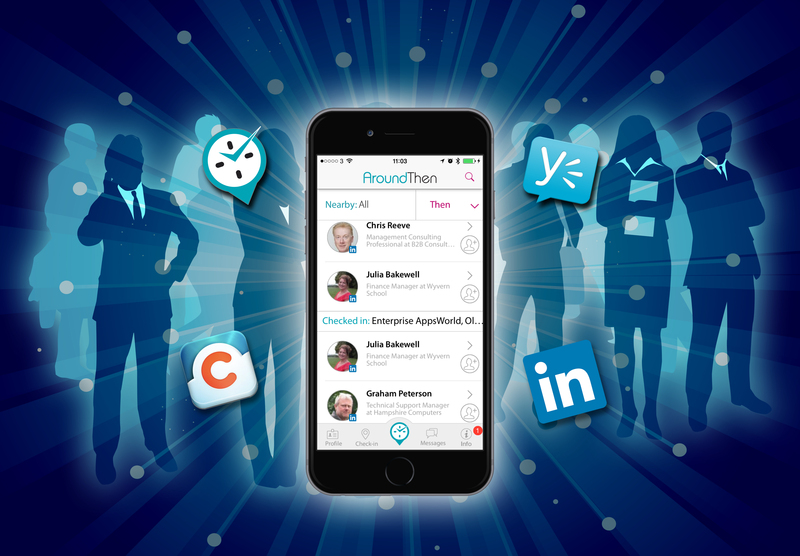 Ken Mawbey, CEO commented, "In AroundThen v3.0, we’ve completely re-designed the user interface, which combined with many new features, now makes business networking even easier." AroundThen is available as a free download to users and unlike other business networking apps, uses Bluetooth technology which works accurately indoors and won’t drain a device battery. It is available on iOS, Android and Windows Phone.